We were coming to Oughterard and I, as usual, didn’t put a whole lot of planning in and just Googled “Oughterard” and “Hostel” and out popped the The Oughterard Holiday & Angling Centre and I rang Mike who was very pleasant on the phone and more than happy to allow us arrive a little later than normal at 10.30pm. The first impression of our bedroom was good. I was delighted to see we had an ensuite, in fact 7 out of 9 do. 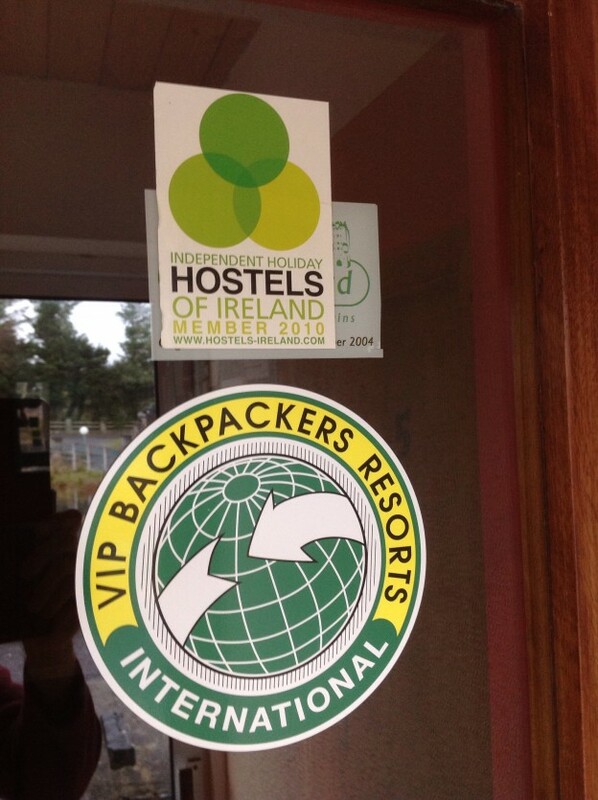 The Hostel can cater for up to 42 people. 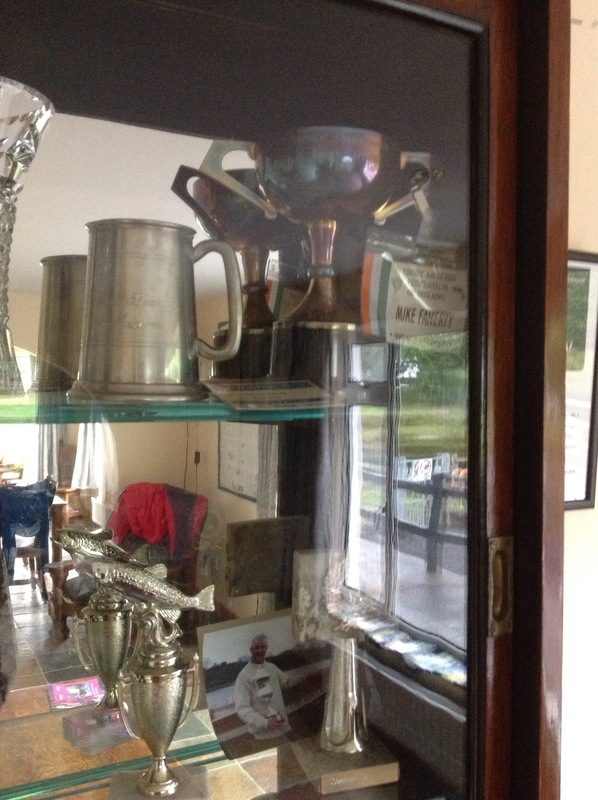 Mike is a former Irish international angler and he has lots of trophies on display. 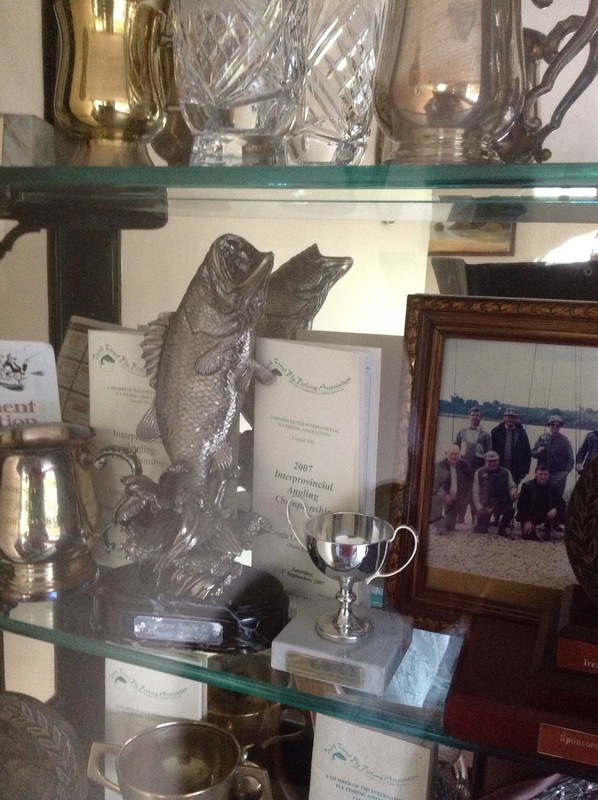 He offers onsite angling training on his purpose built ponds, which are stocked with Rainbow & Brown trout. He will also organise for gillies to take residents out on the nearby loch Corrib. 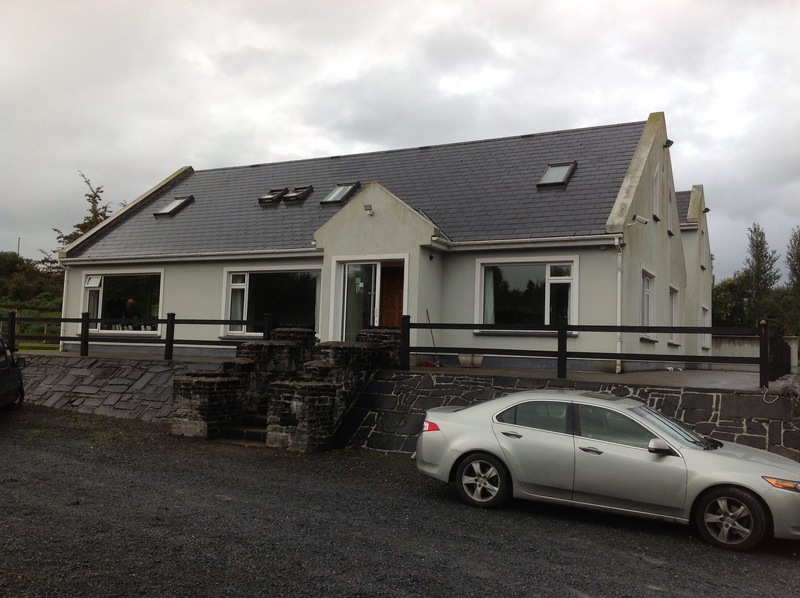 Of course there are many more reasons to visit apart from fishing,local amenities include Horse Riding, Golf, bike hire, Walking and Glengowla mines and Aughnanure Castle to name a few and Oughterard is in walking distance for many excellent bars and restaurants. Would I return? Absolutely but don’t take my word for it. 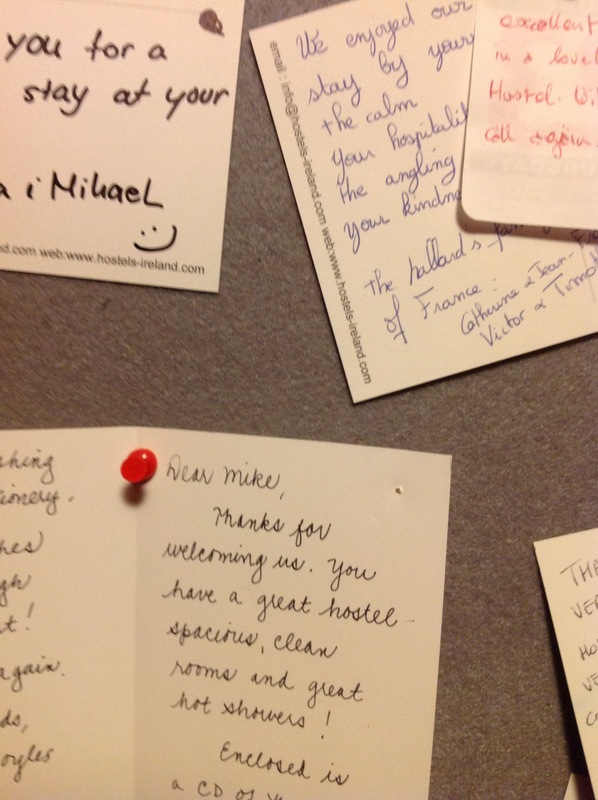 The walls are adorned with many thank you cards sent by previous guests. 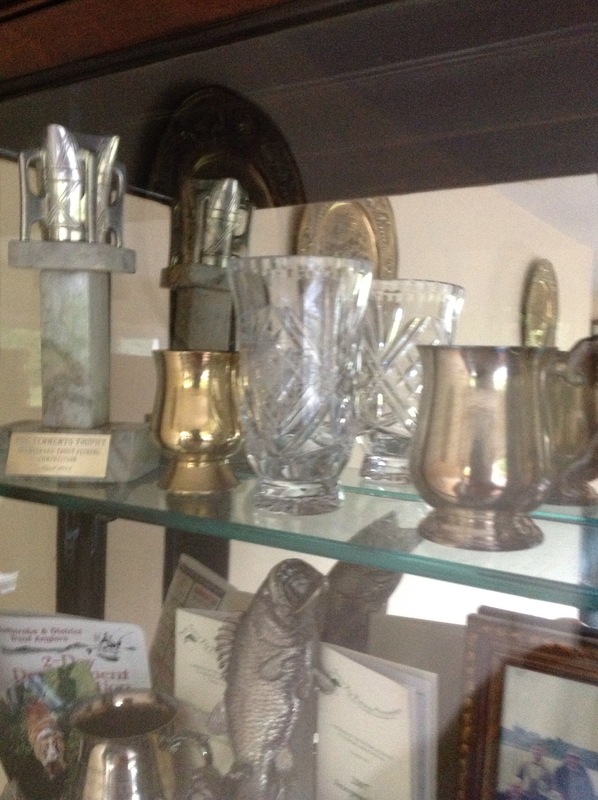 This entry was posted in General and tagged angling, hostel, orienteering, oughterard on September 7, 2014 by A Quaker Man.